Many people race through everyday life on autopilot, getting on with it. But when was the last time you stopped and assessed your current situation? Often we do this when something awful happens to a friend, colleague or family member. It’s that painful reminder that we’re maybe not as well protected as we need to be. This is not just financial in terms of where you are, how you’re doing and where you’re heading, it’s also about feeling safe and ensuring your family is secure. Expats make up 80% of the UAE population, so by their very nature, are living in a jurisdiction where the laws of their home country don’t apply. For example, the common law that’s adopted in the UK and other parts of the world is not applicable here, but people don’t stop to think about how this may impact expats in a host of areas. 1- ICE PLANNING (IN CASE OF EMERGENCY) – What would happen to your children, if something happened to you or your husband? Although it’s unpleasant to think about, you need to plan ahead and put steps in place should something happen to you and/or your family whilst living in the UAE. The very first of these is to do an ICE “In Case of Emergency” plan.Put simply, this is a signed document expressing your wishes and the emergency contacts who can collect and look after your children on a temporary basisshould something happen to you, until your permanent guardians arrive. You need to provide your children’s school and/or nursery with this. You and your spouse’s HR department also need a copy so they can contact your permanent guardians. 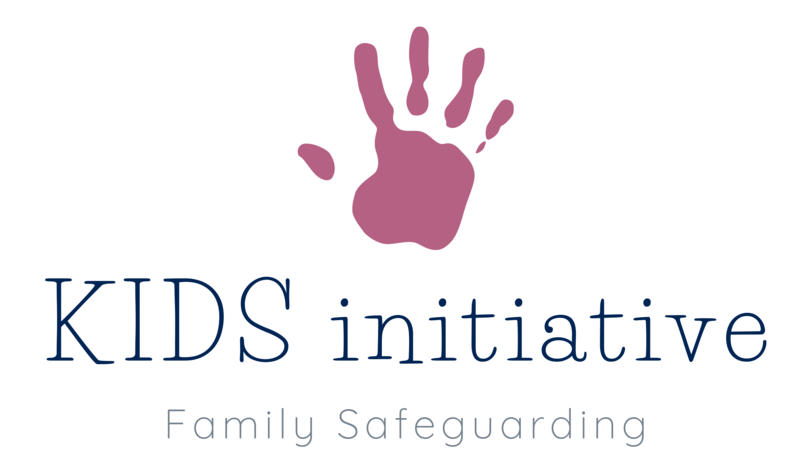 Finsbury Associates, through the Kids Initiative, can offer the ICE plan service free of charge. Peace of mind isn’t something you should procrastinate over. A Temporary Guardianship document – this would be your next step in the case of protecting your children. This is a legal document authorising the temporary care of your children (again until permanent guardians can get here). This also allows them to authorise any medical treatment necessary for your children in the event of something happening while you are either out of the country or incapacitated. Important for those parents who travel. 2- SETTING UP YOUR WILL – What would happen to your assets in the UAE? Not everybody needs a UAE Will, but if you own property, have a stake in a UAE company, or hold considerable assets in the UAE, this is essential. Your home country Will is not enough as Sharia Law will take precedence and may mean your assets aren’t split as you would wish. In order for your own Will to be activated, it needs to go through the Dubai Courts. Your assets will be frozen while this process takes place and the cost can be extremely high. 3- LIFE COVER AND CRITICAL ILLNESS COVER – What would happen to your family if you died? Ignoring this area could turn your whole world upside down if the worst were to happen. We’ve seen it happen first hand here and in our home countries, and thankfully we’d ensured our clients had the correct solutions in place. In short, the vast majority of corporate benefits in the UAE are lacking when it comes to safety nets. Most have a level of life cover in place, to pay a lump sum of money to your spouse or dependent(s) if you were to pass away, but 9 times out of 10 this is calculated on a multiple of your base salary, not including allowances or other employment income that makes up your total salary. The vast majority of people won’t die before they finish their working lives, but more and more people will suffer a critical illness that will knock them for six, and could result in lost income indefinitely. Cancer, heart attack, stroke, Alzheimer’s disease, Parkinson’s disease… the list is lengthy. Don’t blur the lines between decent medical cover and a life or critical illness policy – they’re not the same, despite many thinking they are. Many only realising when it’s too late. Too often, people in the UAE have a shortfall in this area, and don’t even know where to start when it comes to calculating what sum will be required. It’s essential to speak to an expert to ensure you have the right cover. 4- MEDICAL COVER – WHAT WOULD HAPPEN IF YOU GOT SICK AND COULDN’T AFFORD MEDICAL CARE? Do you know the finer points of what, where and how your corporate medical cover looks after you and your family if you were to get sick or injured? Our team at Beneple work with HR managers to educate them on the merits of taking out the most appropriate group medical cover, whether that be tiered by employee, include specific options like optical and medical or simply be a basic policy to ensure all employees are covered. 5- FIRST-AID – WHAT WOULD YOU DO IF YOUR CHILD STARTED CHOKING? Would you be confident inyourability to perform CPR on an infant or child in the event of an emergency? Would you be able to stop your child from choking if no other first-aider was around? Our sister company Safe Hands specialise in first-aid training & wellness, and have conducted over 1,500 first-aid courses and initiatives here in the UAE. Many attendees have had to use their skills learnt in what could otherwise have been a terrible situation. Many companies, schools, nurseries and communities across the UAE are taking part and hosting workshops for their parents and staff to introduce these life-saving skills. 6- PROTECTING YOUR BUSINESS – WHAT WOULD HAPPEN IF YOU, A BUSINESS PARTNER OR KEY PERSON OF THE TEAM WERE TO SUFFER A CRITICAL ILLNESS OR PASS AWAY? You may already have a business continuity plan in place as part of your business plan. This ensures its future if things go wrong, however have you considered what happens if you lose a key member? You should always consider insuring against the loss of your most important business assets – your key employees. DON’T HAVE A SHORTFALL WHEN IT COMES TO PROTECTION. MAKE SURE YOU AND YOUR FAMILY ARE SAFE!